Creation By Donna provides professional, high-quality, and affordable graphic design to businesses, individuals and organizations of all sizes, and provides full visual and graphic design services from concept to creation. Creation By Donna offers every client a Custom High Quality Original One-of-a-Kind Designs with a very affordable price tag. Whether you need a professional-looking Logo, Marketing Materials, a Custom Original One-of-a-Kind Book Cover or CD Cover Design, Event Designs, Web Designs, Photo Manipulations or Invitations for your special business or family event Creation By Donna has the ability to turn your requirements into artistic masterpieces. Turnaround time for creative projects is dependent on the size and complexity of the job. Creation By Donna business philosophy is to provide clients with custom original high-quality products that turn their vision and dreams into reality and to give every client reliable one on one service with fair and affordable prices. With Creation By Donna you are sure to receive Quality One-of-a-kind work with a personal touch from someone who cares what YOU want and works closely with you to create you vision. From the smallest projects to the most demanding situations, Creation By Donna can fill all of your graphic and visual needs and exceed your expectations. Contact Creation By Donna with your specific graphic needs to get a price quote. Click Here for contact page or send e-mail to CreationsByDonna@Gmail.com . Creation By Donna works with you and your budget and accepts payments in the form of Postal Money Orders, Certified Checks, Money Gram, Western Union and PayPal. I fully believe in “Paying it forward” and it is my goal to help as many people as I can. If you are representing a non-profit organization, a charitable organization or an educational facility, you may be eligible for discounted rates and/or free graphic services. 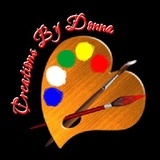 Please send an email to CreationsByDonna@gmail.com Subject Line: PROJECT PAY IT FORWARD with detailed information pertaining to your organization, along with what type of creative design services you are in need of receiving. If you are NOT a non-profit organization and feel you can come up with a very good reason why Creations By Donna should extend these special services to you, send me an e-mail and depending on the circumstances, there's always a possibility that something could be arranged.